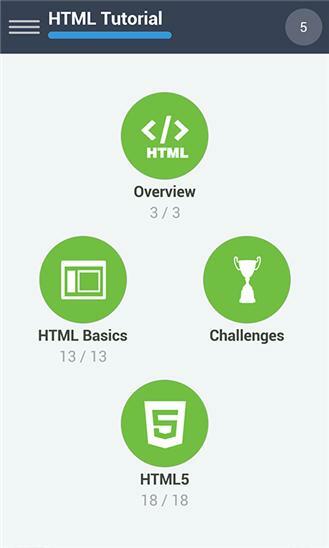 This FREE app will teach you how to design a web page using HTML. 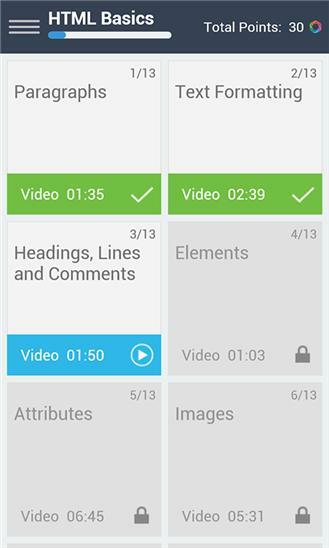 In our interactive HTML courseware, a carefully selected video will be followed by quizzes and checkpoints. Complete a series of hands-on exercises and practice while writing real HTML code. Our videos are concise, checkpoints are enjoyable, and learning is guaranteed. Learn while playing and play while learning with our FREE HTML Tutorial! Whether you want to further your career or simply gain a new skill, this tutorial will be useful for you. It is easy to start, easy to learn - are you still waiting? Start now! * Certificates of Completion Now Available! * No Wi-Fi? No problem! We've improved the learning experience so you can learn offline and even faster than before. * Check out our new Glossary section! * Improvements and bug fixes.